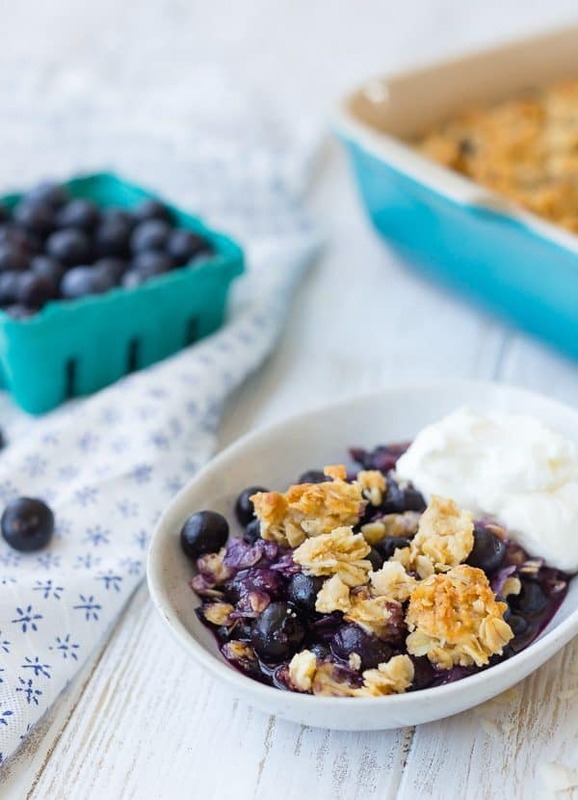 This blueberry crisp with coconut is a fun and delicious twist on plain blueberry crisp – you’ll love the additional layer of crisp and the flavor that the coconut adds. The only question is, will you eat it for breakfast or dessert? I’m so excited to be sharing my dear friend Mary’s latest book with you guys! I met Mary through blogging, similar to many of my now very close friends (the internet is so crazy!) and I’m so grateful that we’ve had the opportunity to spend time together a few times in real life. She’s an absolute gem and inspires me every day by the way she parents her boys and the way she lives her life. 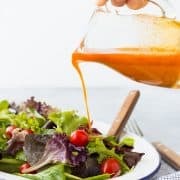 If you love the recipes here on Rachel Cooks, you’re going to love Mary’s style of cooking and recipes too, both on her site Barefeet in the Kitchen and in her books. 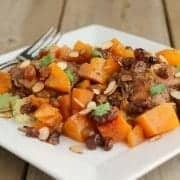 The recipes are easy, approachable, and perfect for a busy life, but still made from scratch and absolutely delicious. Her most recent book is titled The Weekday Lunches & Breakfasts Cookbook: Easy & Delicious Home-Cooked Meals for Busy Families. Her first book is titled The Weeknight Dinner Cookbook and I own and love that one as well! This one focuses on lunches and breakfasts, as the title suggests. It’s full of great ideas and tips for meal prepping and making your week as easy and delicious as possible. Many of the lunches would also make great dinners! 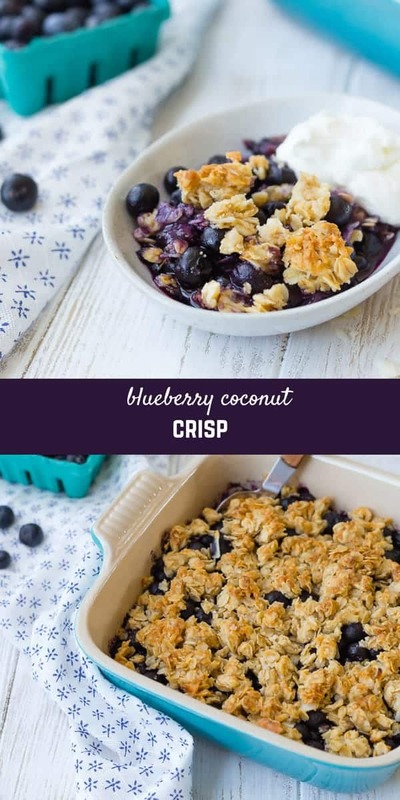 I started with the Blueberry Crisp with Coconut because in general, crisps are my favorite desserts and I loved the twist of adding coconut. Mary has this one filed away under the breakfast category in her book and while I don’t oppose to eating this for breakfast (I did that), you could also most definitely serve this as a dessert, preferably with a big ol’ scoop of vanilla bean ice cream. For breakfast, I liked it with a scoop of plain Greek yogurt, but vanilla yogurt would also be fantastic if you like things on the sweeter side. 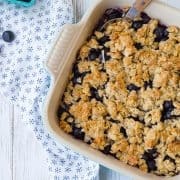 I was intrigued by Mary’s method of making blueberry crisp – she layered half of the crisp mixture on the bottom of the pan before the fruit, so you end up with a crust of sorts at the bottom. I loved the different textures you ended up with using this method. 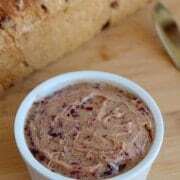 If you’re the type that likes tons of crisp piled on top, you could certainly switch up this recipe and prepare it that way as well. 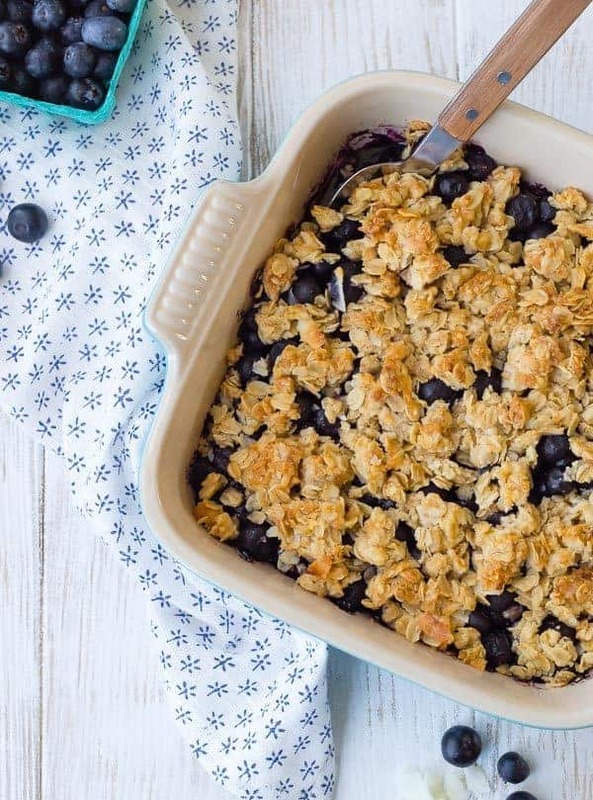 I’m crazy enough to be doing another Whole30 right now, but I’m pretty sure this blueberry crisp is happening again very soon after I’m done with my Whole30. Writing this post about a variation of my favorite dessert is a small form of torture. 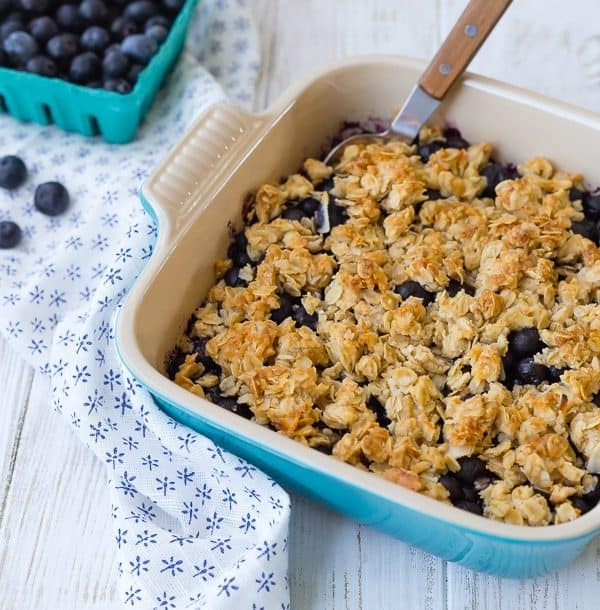 Try this blueberry crisp today! Lightly grease an 8-inch square pan or a 10-inch cast-iron skillet with butter. Rinse the berries and place them in a small bowl. Sprinkle with sugar, cornstarch, and cinnamon. Stir to coat. In a separate bowl, combine the oats, coconut, flour, brown sugar, and butter. Stir with a fork to create a streusel-like topping. Scoop half the topping into the prepared pan. Lightly press to cover the bottom of the pan. Pour the berries over the crust, spreading them evenly across the pan. Sprinkle with the remaining crisp topping mixture. Bake for 25 to 28 minutes, until golden brown. Let cool at least 10 minutes before scooping into bowls. To make this recipe gluten-free, use 2/3 cup brown rice flour instead of all-purpose flour. 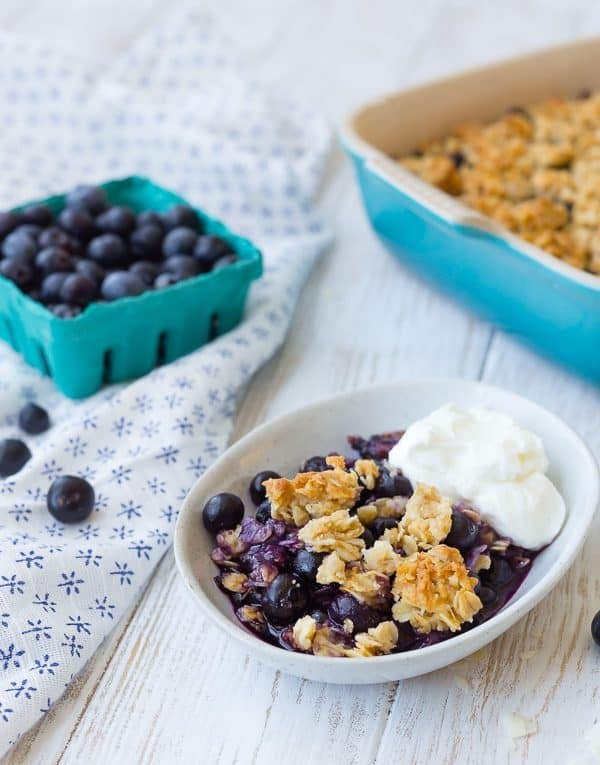 Frozen blueberries may be substituted for the fresh berries in this recipe. Blackberries and raspberries work well also. If you are using frozen berries, add two tablespoons of water and an additional 2 tablespoons of sugar to the fruit mixture. 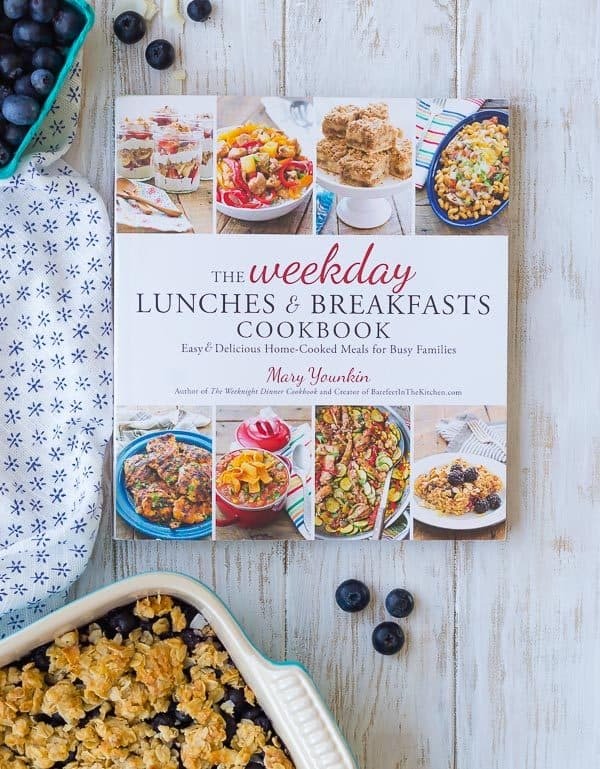 Used with permission from The Weekday Lunches & Breakfasts Cookbook: Easy & Delicious Home-Cooked Meals for Busy Families by Mary Younkin. Husband’s take: Ben loved this! I wasn’t sure he’d be crazy about the coconut but I heard no complaints whatsoever. Changes I would make: None are necessary! So delicious! 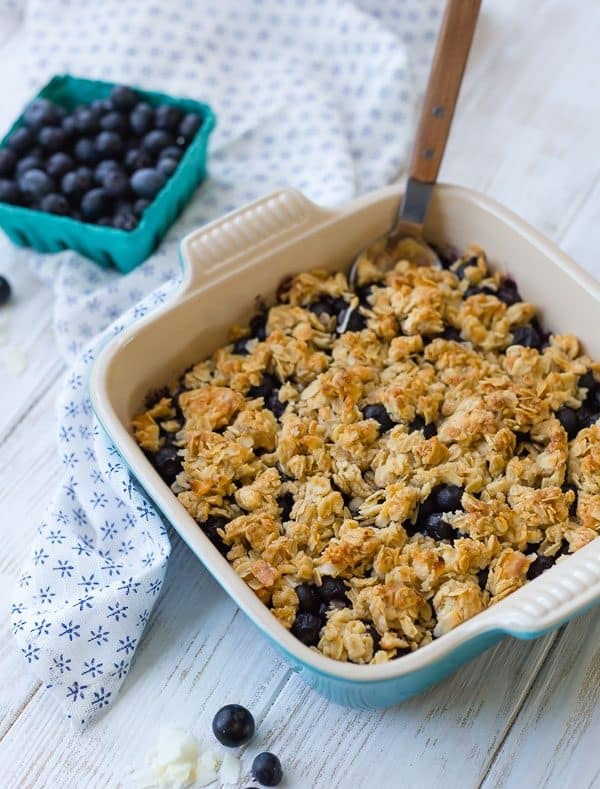 oh, how I love this blueberry crisp! I’m so glad that you’re enjoying the cookbooks. Your photos are making me crave this all over again! <3 Thanks Mary! We loved it! Add orange zest to make extra delicious! That is a delicious idea! Lemon would be tasty, too!